Within the last week we here at Orange County Computer there have been an influx of phishing scams, specifically 'Sextortion' scams, that have been reported to us. 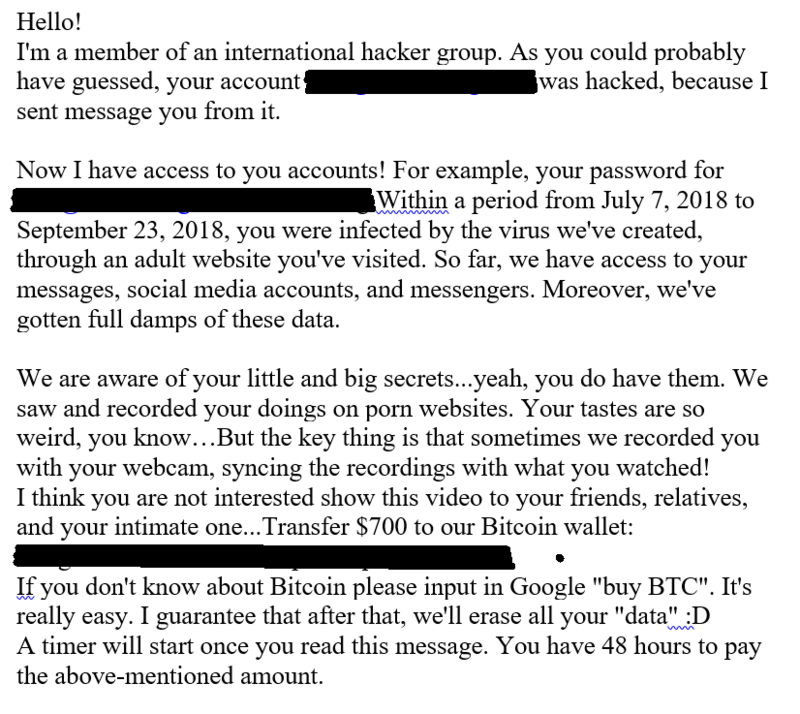 With this scam, victims receive an email from the scammer stating that they have access to all your accounts, passwords, that they have infected the PC with a virus after having visited an adult website. It goes on to say that the victim has been recorded "in the act" via webcam. It is unclear how the scammers gained access to the email addresses and passwords. It is believed they came from a list of previously leaked addresses. A UK government group Action Fraud ran tests on the affected emails through a website 'Have I Been Pwnd' site. Most of those affected were on the database.